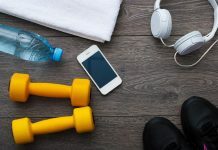 Get fit to play, don?t play to get fit is a very well known saying and you should all know that doing some fitness work along side your lessons and practise sessions will improve your performance as well as making you less prone to injury. Well, if you are looking for the perfect way to train all the components of fitness you need to improve your game in the same session, then you need look no further than circuit training. Circuit training is an exercise format that normally utilises between 6 and 10 exercises that are completed one after another (the circuit!!) for a specified number of repetitions or time period before moving onto the next exercise. The completion of one exercise and the beginning of the next are separated by brief timed rest intervals and each circuit by a longer rest period. The total number of circuits performed during a training session may vary from two to six depending on your training level (beginner, intermediate, or advanced), your period of training and your training objective. Total-body, Upper-body, Lower-body, Core/Trunk etc. It is important to warm up and perform some dynamic stretching exercises and to repeat this as a cool down after the session. Complete the circuit training session twice a week with at least 48 hours between each session. I suggest you base your training on a four week cycle of an easy week, medium week, hard week and test/recovery week. The work load can be varied by changing the number of exercises, duration, sets or repetitions. 5 rounds, fife different exercises as fast as possible! Warm-up for ten minutes before you start, and stretch afterwards!